ProPak Asia is the number one industry event in Asia for processing and packaging in the food, beverage and pharmaceutical industries. The four day exhibition held at the Bangkok International Trade and Exhibition Centre (BITEC) took place from 13th – 16th June 2018, facilitating the global exchange of knowledge between professionals within the processing and packaging industries. 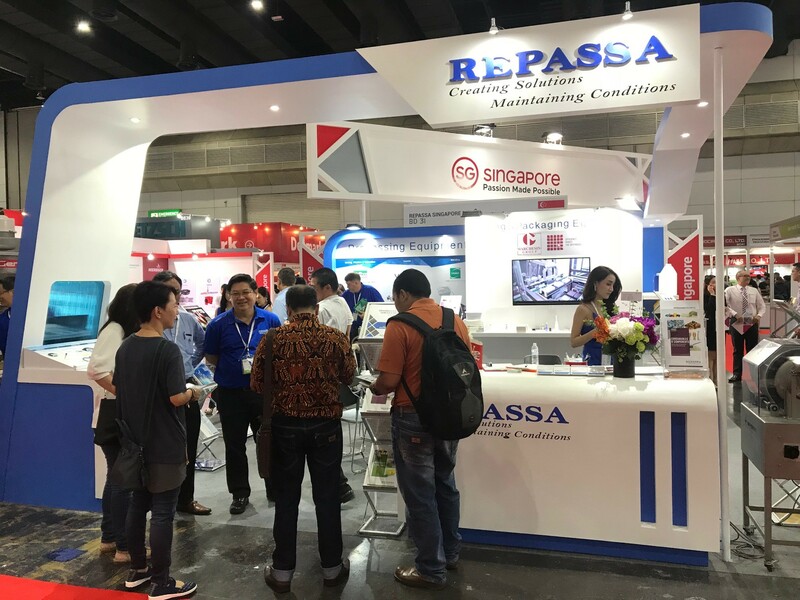 2018 proved to be another outstanding year for Russell Finex at ProPak Asia, with high quality enquiries and connections being established. The separation specialist presented a range of innovative sieving and filtration equipment for processing and packaging applications. The Russell Compact Sieve® was presented as a key solution for the food industry. This innovative vibrating sieve efficiently eliminates oversized contamination from powders and liquid slurries. Its enclosed design eliminates dust and fumes during the screening process, protecting operators and ensuring a contamination-free product. The Self-Cleaning Russell Eco Filter® removes oversized particles and contamination from liquid products, providing continuous filtration down to 10 micron. Its totally enclosed design safeguards operator health and safety by ensuring no harmful fumes or liquids are emitted. Contact us to discover the innovative range of sieving and filtration solutions available to improve your processing and packaging operations at any stage of your production line.